Strong, growing demand for mineral and petroleum resources has created a vast global market for the machinery and equipment used in this industry. Mining and petroleum operations are increasingly located outside of major industrialized nations for environmental, financial, and other reasons. Manufacturers of mining and petroleum equipment and products require translations of English-language operator, safety and maintenance manuals, training materials, and a wide range of other documents into the languages of the regions where mineral resources are found. International Language Services, a leading provider of language globalization and localization translations for 35+ years, offers high-quality, cost-effective services to corporations of all sizes in this highly competitive global industry. Supporting 180 languages, we maintain an extensive resource pool of native-speaking professional linguists who have industry-specific expertise. For each translation project, two fully qualified linguists are assigned, one to perform the initial translation and the other to check the translation for accuracy against your original file and verify cultural relevance.  That double layer of protection is part of our proven ISO 9001:2015-certified quality assurance process. Our talented project managers and dedicated production team make quality and efficiency their highest priorities. Together, working in our state of the art translation environment tool (TEnT), our efficiency improves with each project for our long-term clients through effective use of translation memory database technology. We work with your original source files to return formatted finished products that are ready for publication. Count on our industry-leading technical translation services for translations to and from the languages of every region, including Europe, Asia, Africa, Latin America, and the Middle East. We provide accurate translations, using industry-trained native-speaking linguists of 180+ languages, including Chinese, Japanese, Spanish, French, Portuguese, German, Russian, Latvian, Italian, Greek, Bulgarian, Arabic, Farsi, Hindi, Czech, Dutch, Ukrainian, Vietnamese, Korean, Afrikaans, Swahili, Somali, and more. The equipment and other products designed for this industry are highly specialized and often limited in production quantities. Custom-designed and high value capital equipment requires specialized document translation services that are responsive and flexible to meet tight schedules. Our translation team works closely with your documentation department to ensure that your projects succeed.